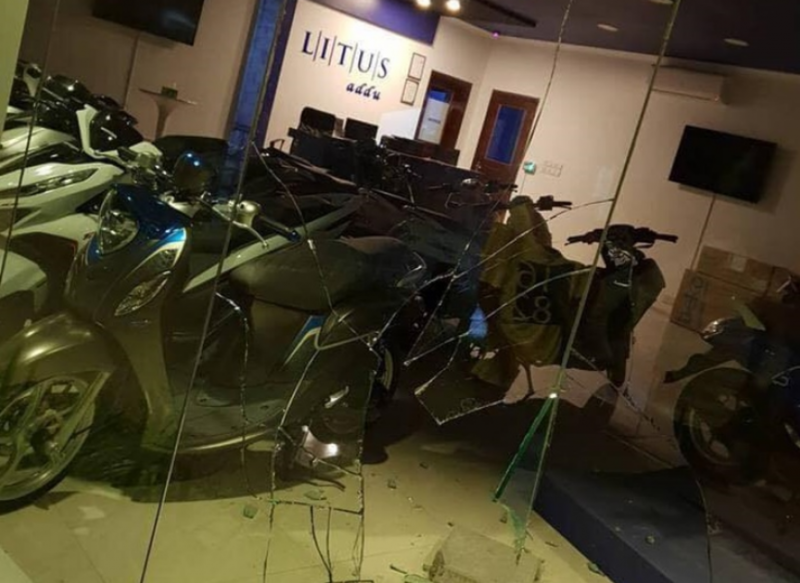 Maldives Police Service has arrested a man suspected of breaking the windows of the motorcycle store operated by Litus Maldives PLC in Hithadhoo, Addu City. Talking to Sun Media, a Media Official of the Police said that a 23-year-old man has been arrested in relation to the crime. The crime was reported last night around 12:38 a.m. last night according to the police and the case is under investigation. An official of Litus said that the windows of their Hithadhoo store was broken by rocks being thrown at them. The official said that nothing inside the property was damaged. While Litus Maldives opened a store in Hithadhoo last December, they also have a store in Feydhoo, Addu City, as well. Litus has a total of 12 stores across the country.